Last weekend I was back in Shanghai, just passing through so I dropped in at the infamous Rainbow Hotel hear Hongchao airport for a night. 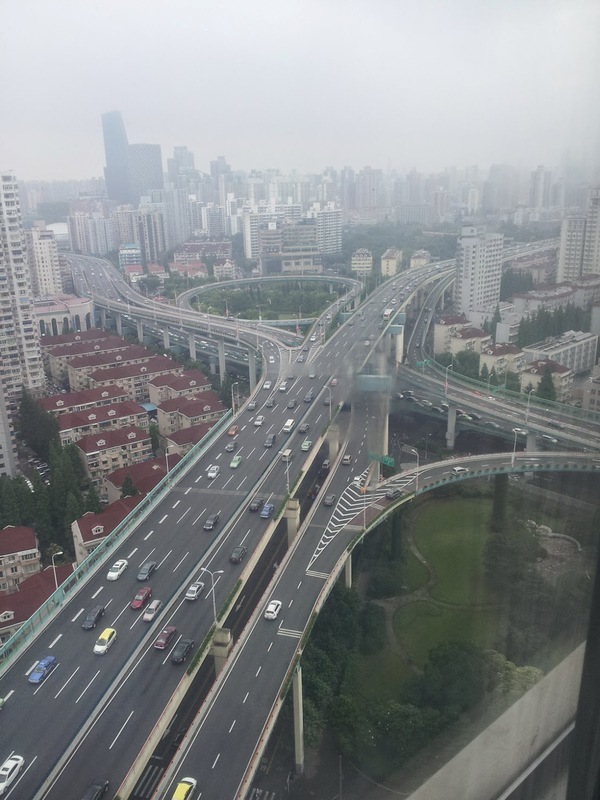 I had forgotten the view of the nearby freeway interchange - all four levels of it. Watching the lights at night can be mesmerizing, that's for sure. look closely .... you are getting sleepy .... OK I had been on the road for 3 days at that point.